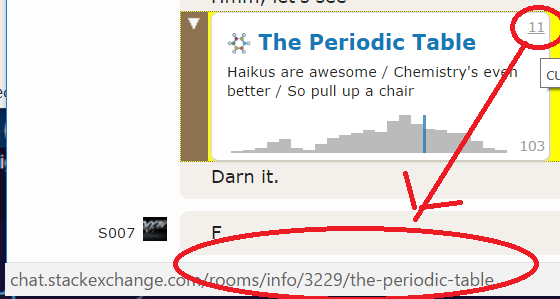 Not sure if this is a bug or a feature, but I noticed today that if I link to a room's info page, it annoyingly one-boxes a link to the room, which is not a link to the info page! Is this behavior expected? If so, what is the reason for changing the links? If this is really a bug since the responsible bot is not seeing parts of the URLs and ends up one-boxing, and hence linking to the wrong message, could this be fixed please? Worth pointing out that too much exposure to annoying things results in a higher blood pressure. And of course there is the explicit markdown link option, or posting additional text. I'm open to options on what we should do here. Provide the info page as the "main" link if the info link is posted? Don't onebox at all? Something else? PSA: When linking to an Area 51 proposal, don't link directly to “follow”!